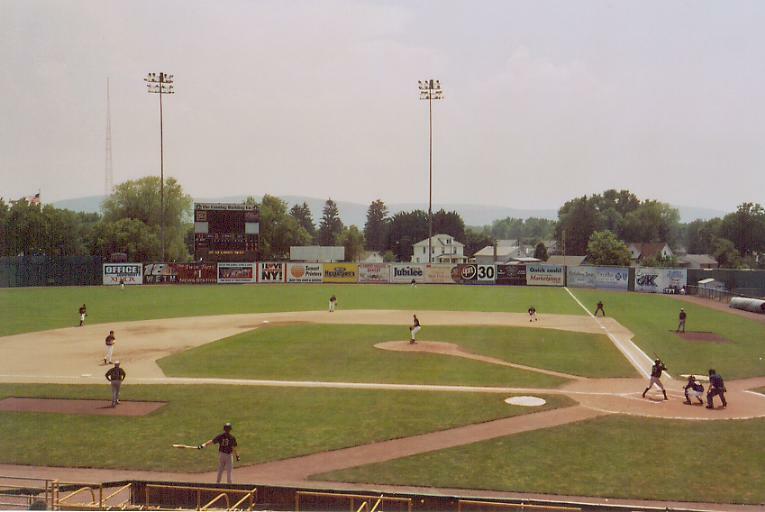 Dunn Field, Elmira, New York. 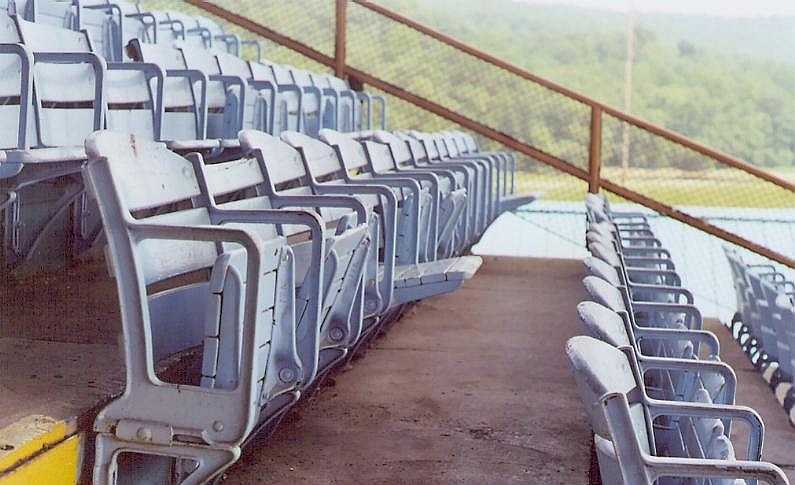 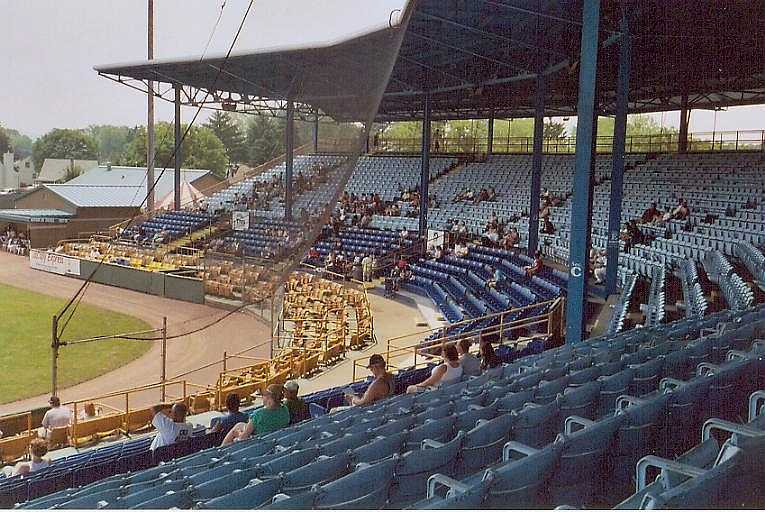 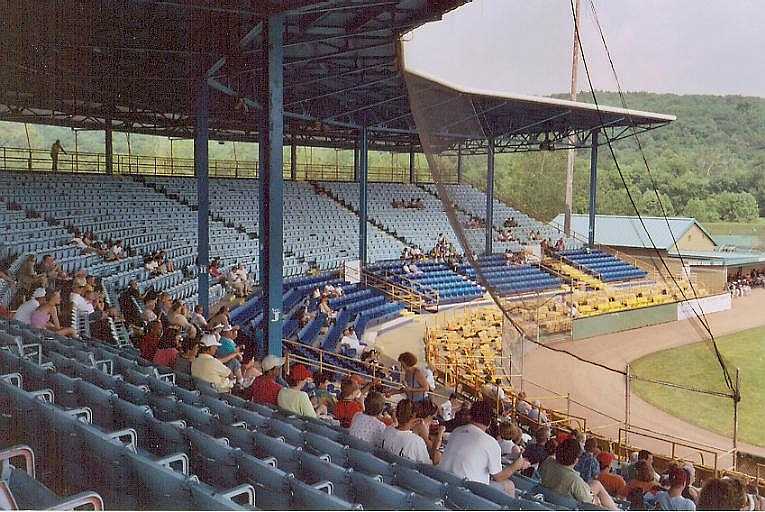 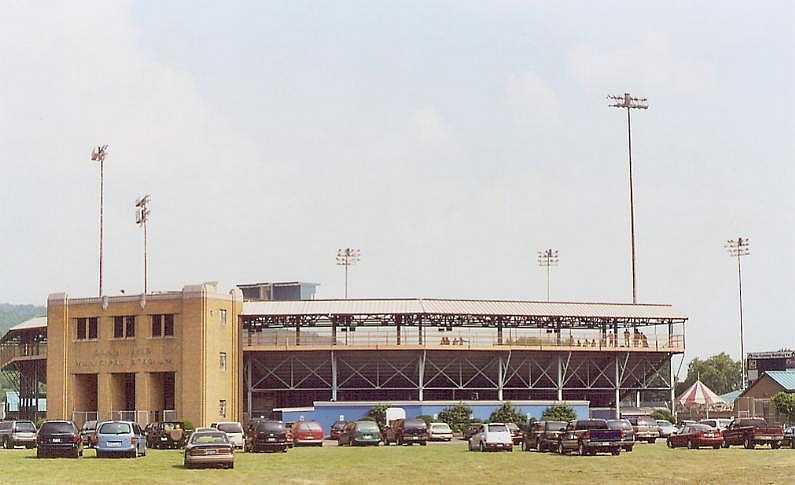 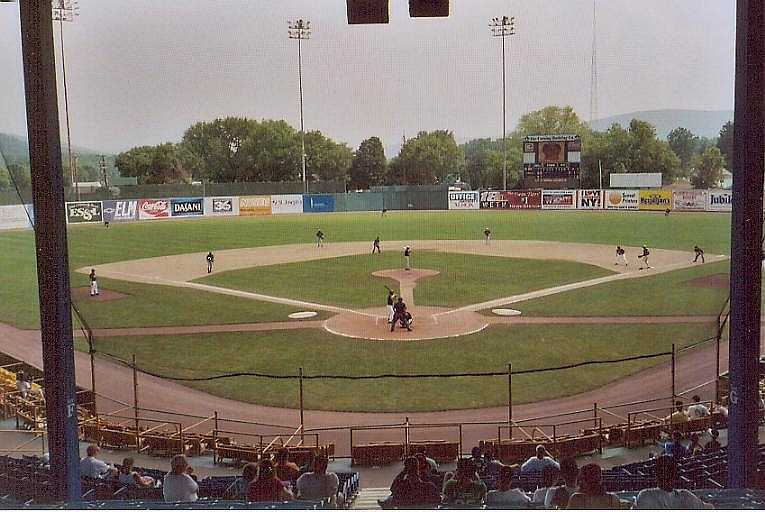 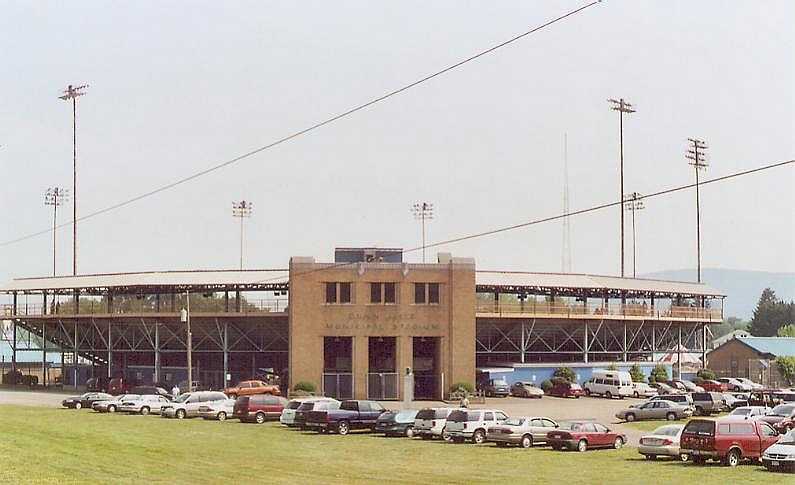 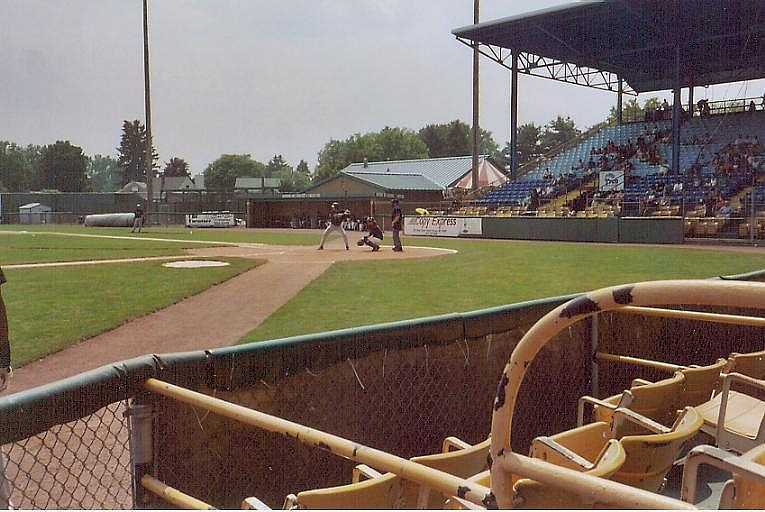 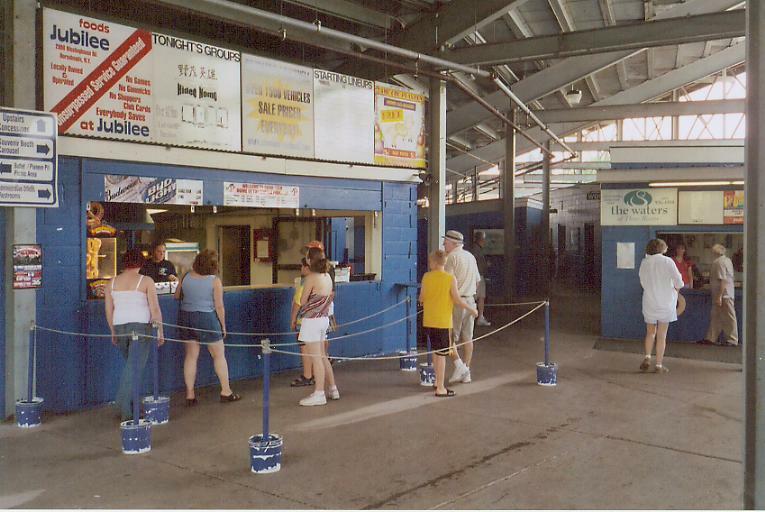 Dunn Field previously housed Elmira teams in the Double-A Eastern League, the Short Season NY-P League and the independent Can-Am League. 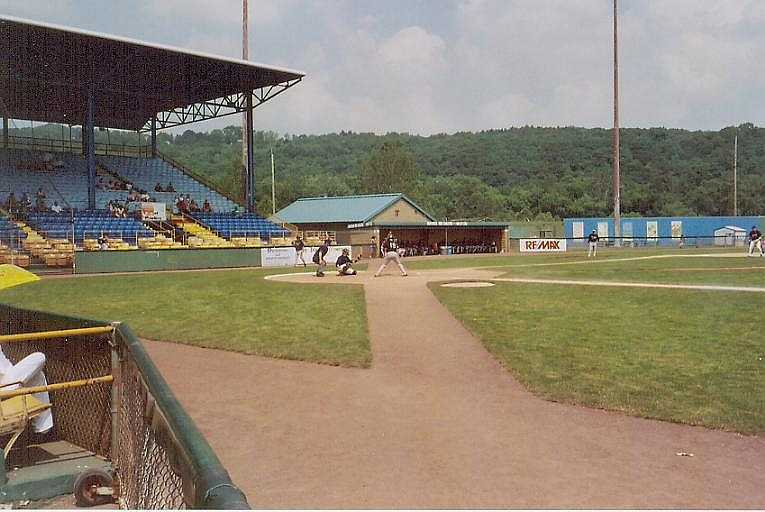 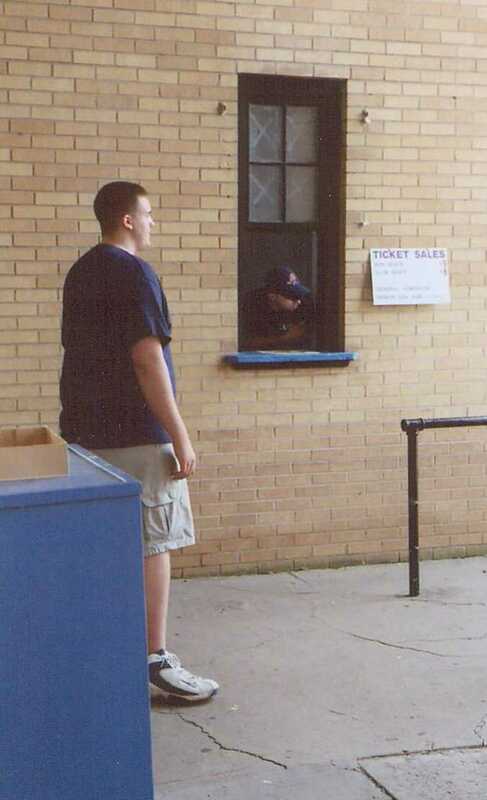 Currently the home of the Elmira Pioneers of the Perfect Game Collegiate Baseball League. 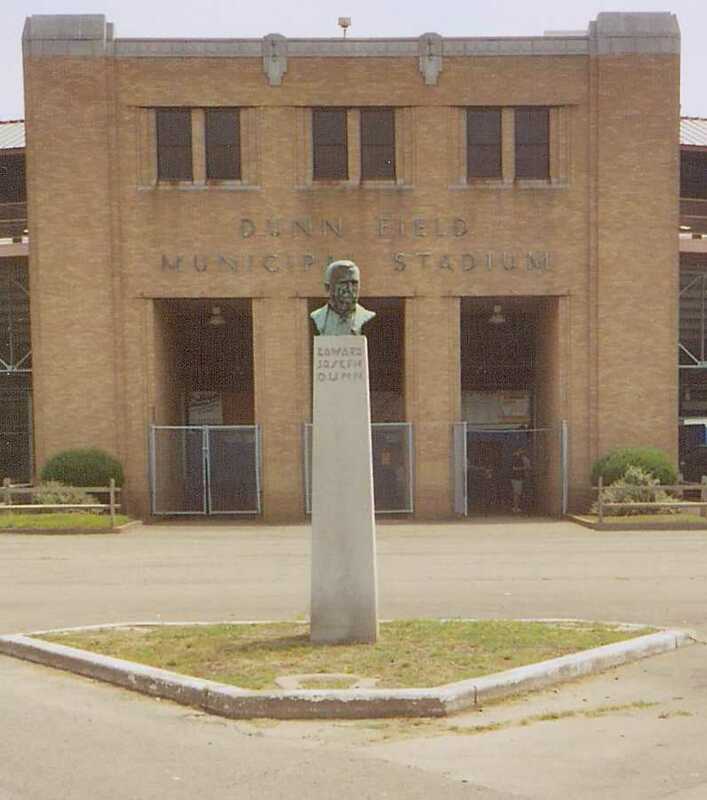 Edward Dunn memorial in front of main entrance. 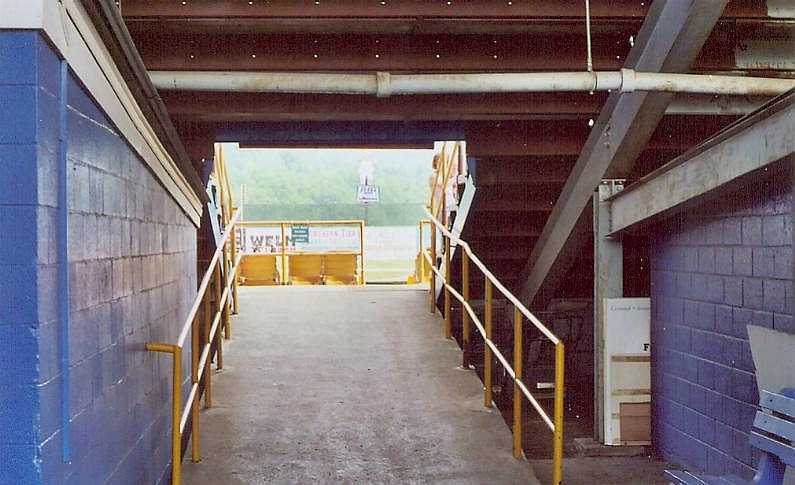 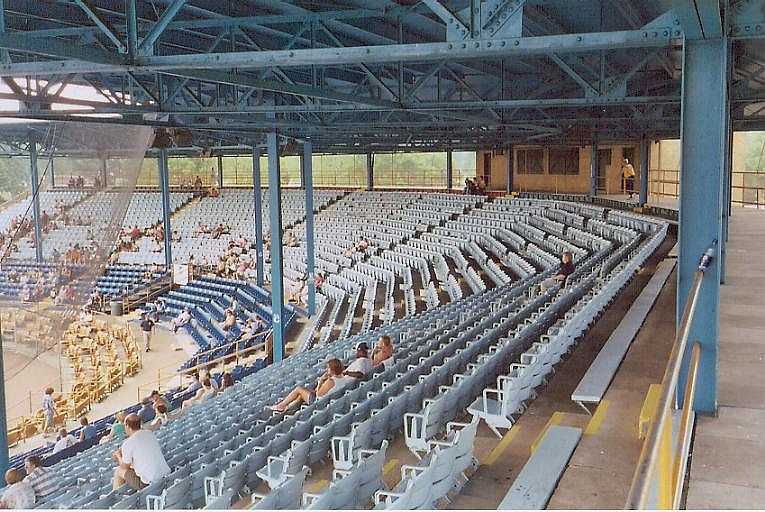 A wide walkway at the top of the seating area. 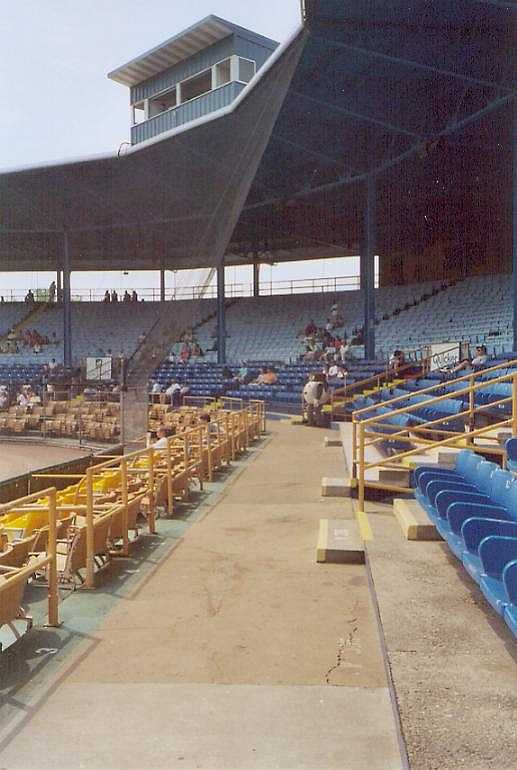 Looking toward the home team dugout. 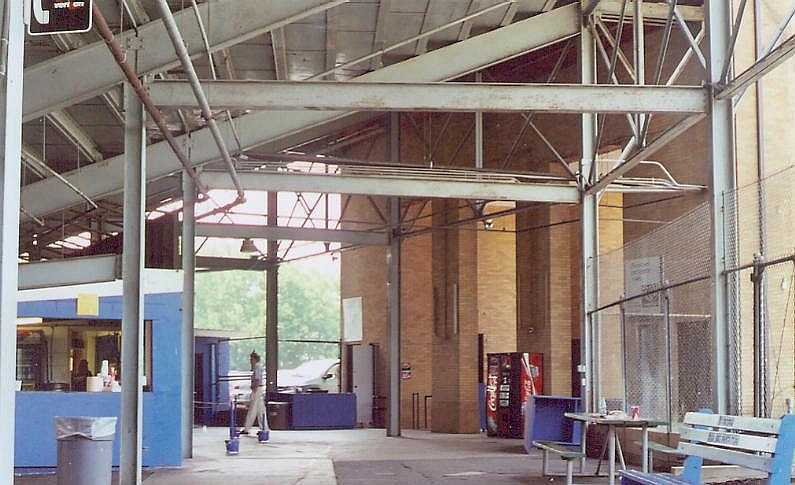 Looking toward the visiting team dugout. 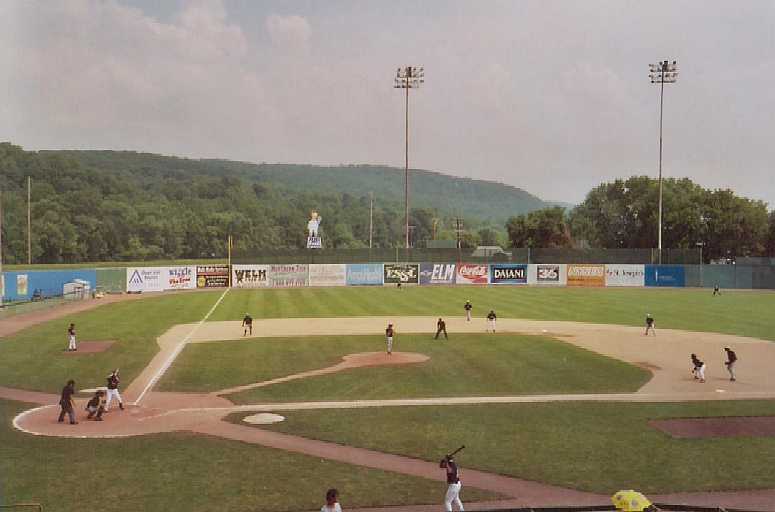 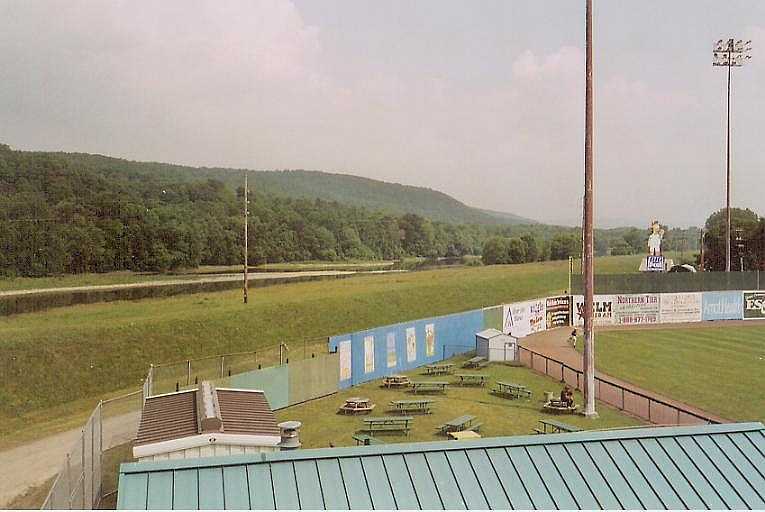 The Chemung River runs past left field.